Central banks traditionally have reserve requirements for commercial banks, meaning the banks have to deposit a certain amount of capital with a central bank to be used as a cushion in times of hardships. Although this is a great way to protect the economy during recessions, it also ties up funds. It seems like China has found a use for this money as it cuts the reserves by over $100bn in preparation for the consequences of the trade war with the US. 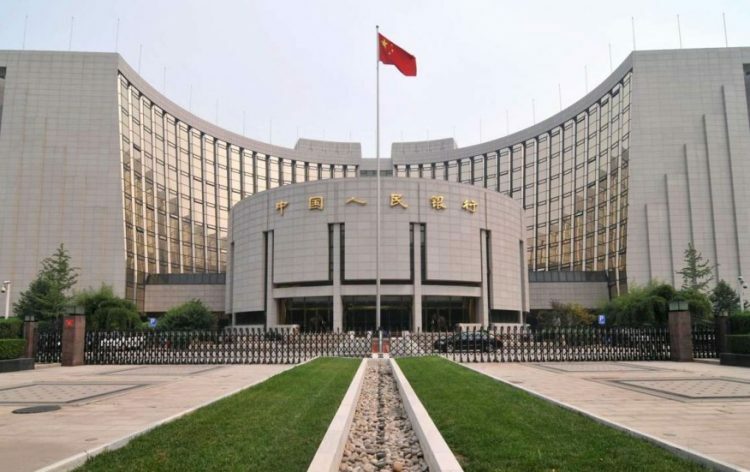 People’s Bank of China, central monetary authority in the country announced that from July 5th it will reduce reserve requirements for banks. Specifically, a reserve requirement ratio for large banks will be reduced by half a percentage point, which frees up about $77bn worth of capital. In addition, further reserve cuts for smaller banks bring the total to over $100bn. While the move was not explicitly announced as a measure to retaliate against the US sanctions, many analysts believe that it was, in fact, the trade war that motivated the decision. “It is a ‘one stone kills two birds’ policy to relieve credit pressure from financial deleveraging reform and cushion the potential impact from a trade war. As a forward-looking measure, while restructuring efforts continue also to put a squeeze on the economy, it is a sensible offsetting move to Trump’s trade policies. Should the Trump administration keep hammering away, blunter, more self-damaging responses may be adopted,” – said Robert Carnell, ING’s Asia-Pacific chief economist. Some analysts found the move to be a countermeasure for the slowing economy. Freeing up this much capital could stimulate the economic activity and fuel growth. “The PBoC move indicates China is on the way towards monetary easing, which is aimed at keeping small and medium enterprises and local governments afloat. Administrative and regulatory measures will be maintained to prevent liquidity from flowing into property and financial markets, in case asset bubbles were to re-inflate,” – said Chaoqing Zhu, a strategist at JP Morgan Asset Management. Trump’s administration’s decisions could start a full-fledged trade war. The United States announced earlier this month that it would impose tariffs on Chinese exports equalling over $30bn in value on July 6, and later on $16bn more worth of assets. The tariffs are claimed to be imposed as a punitive measure for violating intellectual property laws. In addition, there is a talk of imposing restrictions on Chinese owned companies for investing in the technology industry in the US. Up until now, Chinese governments response was to impose tariffs of a similar magnitude on US exports. It seems like China could be considering measures other than tariffs as well. Up until now, Chinese government’s response was to impose tariffs of a similar magnitude on US exports. It seems like China could be considering measures other than tariffs as well. “Whilst the US imported just over $500bn of goods from China in 2017, China only bought $130bn from the US. In our view, China will instead be considering non-tariff options. Another channel might be through the currency by devaluing the renminbi. Whilst this would help offset the costs of US tariffs, periods of weaker Rmb have been associated with market volatility and concerns over capital flight from China,” – commented Craig Botham, an economist at Schroders.